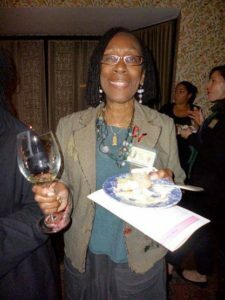 Our club treasurer enjoying a glass of wine. 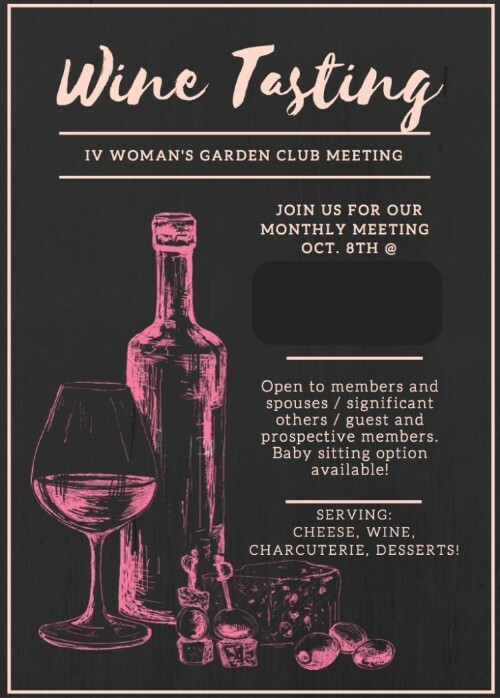 Monday, October 8 is the Indian Village Woman’s Garden Club’s Annual Wine Tasing. The event will start 7:00pm at Carolyn’s lovely, historic home. Our skilled sommeliers will present us with a selection of remarkable wines from around the world. Cheese, fruit, non-alcoholic beverages and desserts will accompany the wine. This meeting is not to be missed! Members, this is an excellent occasion to invite your neighbors and friends. Check you meeting notice for more details. Prospective members and guests are always welcome at meetings. For more information <kathleenkrasity@yahoo.com>.